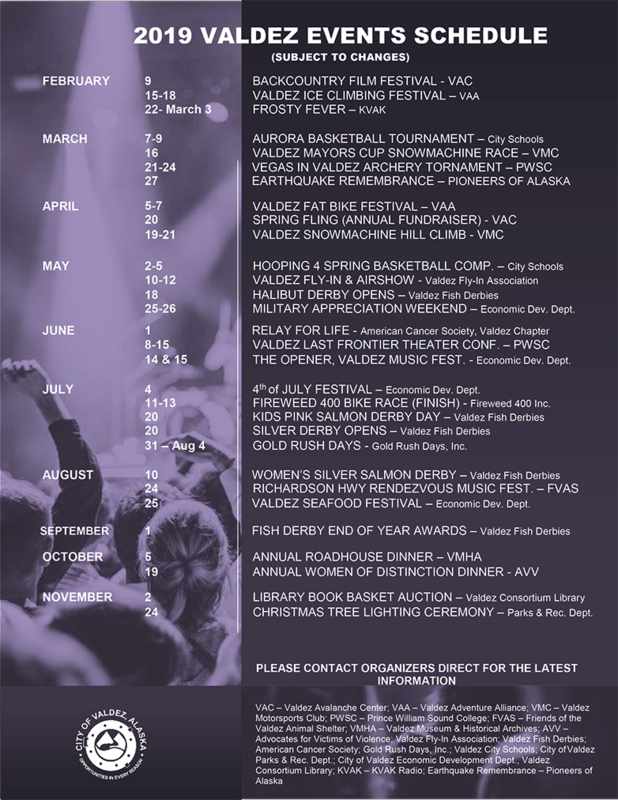 Welcome to the City of Valdez 2019 Events Schedule. To contact an Event Organizer online for further information please refer to below. City of Valdez Economic Development Dept. Events & Marketing Coordinator, Laurine Regan.